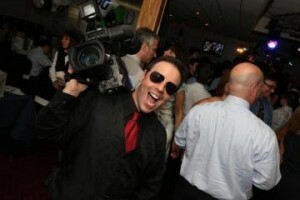 Mitchell Reisbord has been videotaping and producing wedding & special event video since 1989. Besides weddings, bar mitzvahs, and other family parties, he is also available for corporate video production. Mitch has a Bachelor of Science degree in Television Production including an internship with CBS and production work for NBC. He currently owns and operates Reisbord Video, LLC in Hightstown, NJ, which is centrally located between New York and Philadelphia. Reisbord Cinematography covers events in New Jersey, Philadelphia and its surrounding areas.